Thanks for waiting. In case you missed the preview, find it here, so you know what to expect. If you are not sure what Beneath the Smile is about, please check the preview out. 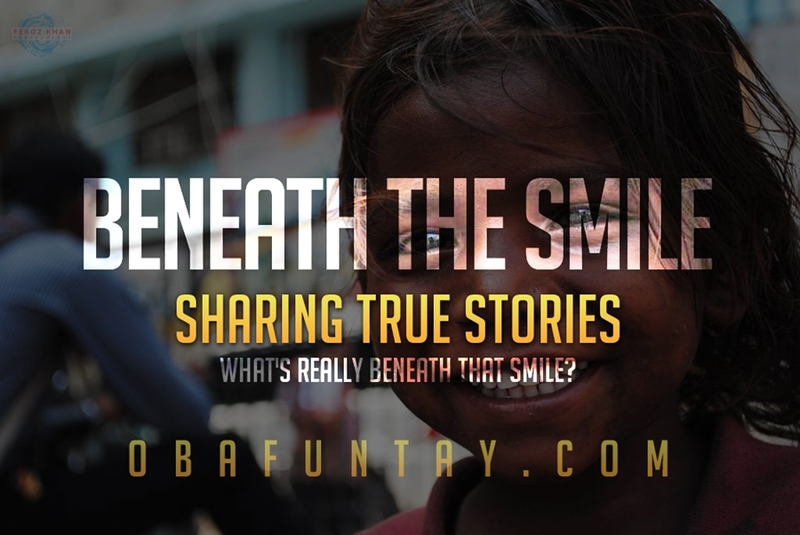 The project aims at looking beyond the smiles of the next person, to see what’s really beneath, what’s really going on? How people really need help and won’t bother saying anything about it but would rather cover it up with a façade of strength, with a smile. It’s time to look beneath the smile and lend a helping hand. People are going through real things, these are their stories. We hope that you’d be kind enough to leave a comment. Your feedback is important to us. Today’s story was sent in by one of our readers and has chosen to remain Anonymous. This is her story. 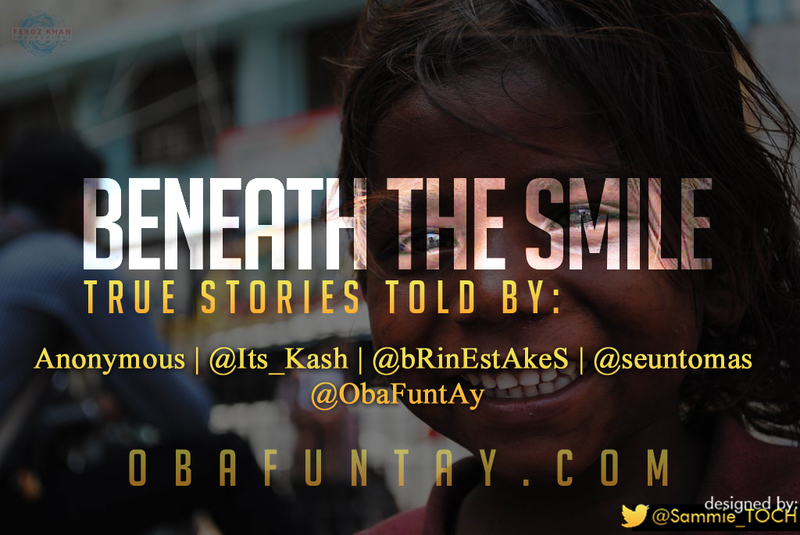 The ‘Beneath the Smile’ Project. It started one night when I was 5 years old at least that’s the earliest I can remember. I heard my mom screaming in distress “Oluwatomi! Tomiiiii! Help me! !” I ran to the room she shared with my dad, and what I saw changed the course of my life. My dad was on top of her strangling her and beating her, slaps, blows, and the like. My 5-year-old brain told me I had to help her, so I tried to drag my dad’s hands off her, and crying I kept on screaming don’t hurt my mommy, leave my mommy alone. After what seemed like forever he got off her and stormed out of the room. I hugged my mommy so tight and she couldn’t do the same, she looked lost, so frail and she whispered “it will be alright” through streams of tears. This continued in different ways, other times my dad venting his frustration on my little brother and me. I would go to school with bruises and marks and when my friends asked, I’d tell them I fell. You see, my mother is a very beautiful woman, and my father is a very insecure man so he tried to dominate us all though physical violence. The slightest frustration he had from work would be vented on us. This continued in different forms till I turned sixteen. He apparently “found God” and has even gone on to become a pastor. He has apologized too. But it’s like a broken egg that can’t be pieced back together. Although there was never a form of sexual abuse, I still have scars and memories of the beatings. I’d sit down and have flashbacks. I’m 20 now, and I’ve had 2 boyfriends who I refused to have any form of intimacy with simply because I still can’t bring myself to understand that there can actually be love without violence. So after a few weeks, both relationships have ended and I refused to open up to them. I find myself living in a topsy-turvy emotional state, One day I’m “happy” the next I’m close to depression. 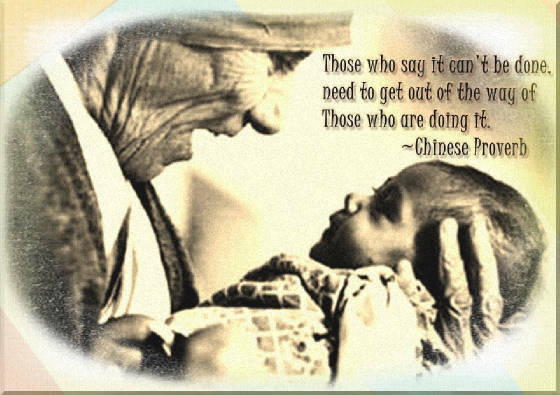 I try to help others hoping I can help myself too, but to little avail. Along the line, I’ve also become a Christian and I’m beginning to grasp the depth and truth behind letting go, and forgiving and accepting and giving love. Instead, I cry myself to sleep at night but I wake up the next morning and hide it all beneath the smile.